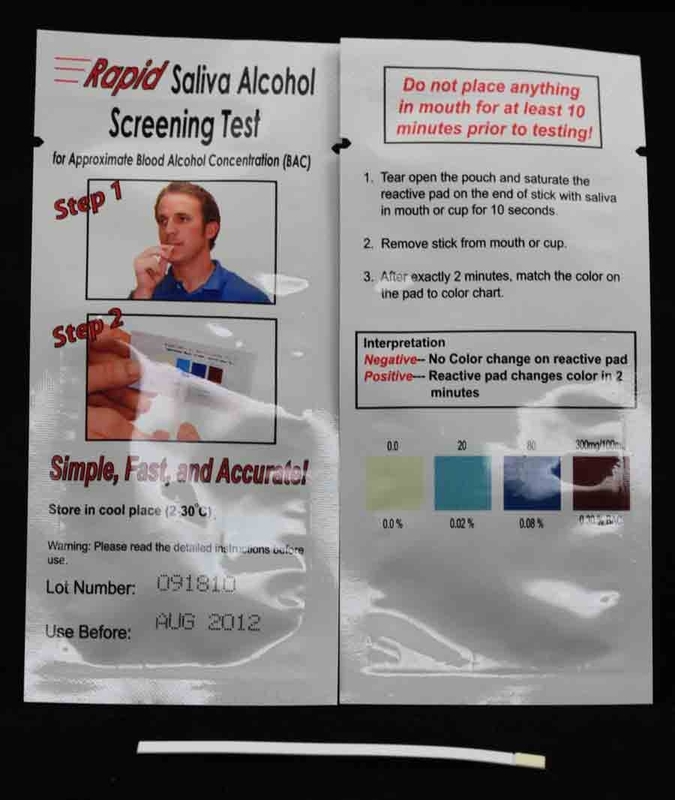 Alcohol Saliva Rapid Test | CE-GMP | 818-591 3030-USA. Alcohol intoxication can lead to loss of alertness, coma, death, and as well as birth defects. The BAC at which a person becomes impaired is variable. The United States Department of Transportation (DOT) has established a BAC of 0.04% as the cutoff level at which an individual is considered positive for the presence of alcohol. Determination of ethyl alcohol in blood and saliva is commonly used for measuring legal impairment, alcohol poisoning, etc. Gas chromatography techniques and enzymatic methods are commercially available for the determination of ethyl alcohol in human fluids. 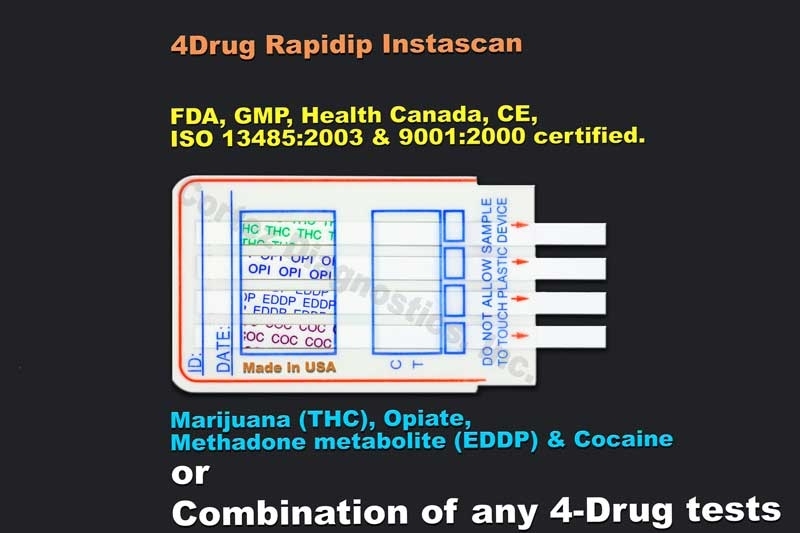 MP Rapid Alcohol Test is designed as the screen tool to rapidly determine if the BAC level is higher than 0.04% by testing saliva specimen. 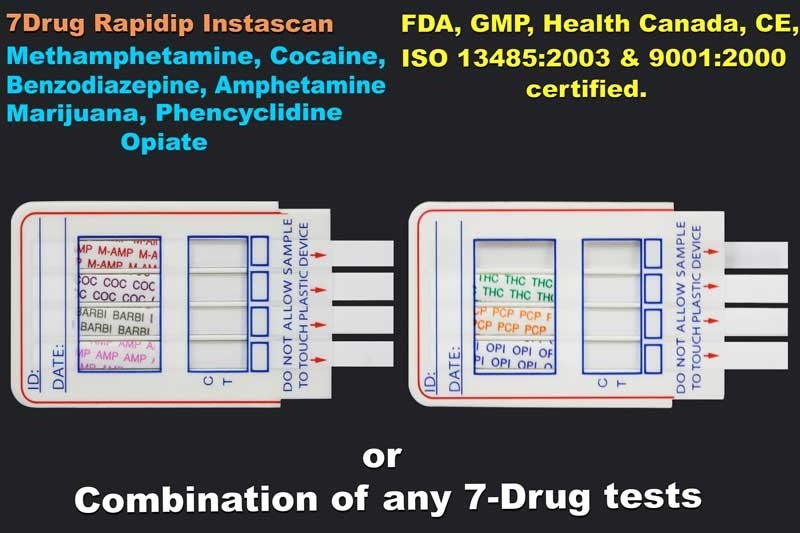 Cortez Saliva Alcohol RapiDip Insta Test is based on the high specificity of alcohol oxidase (ALOx) for ethyl alcohol in the presence of peroxidase and enzyme substrate such as TMB. 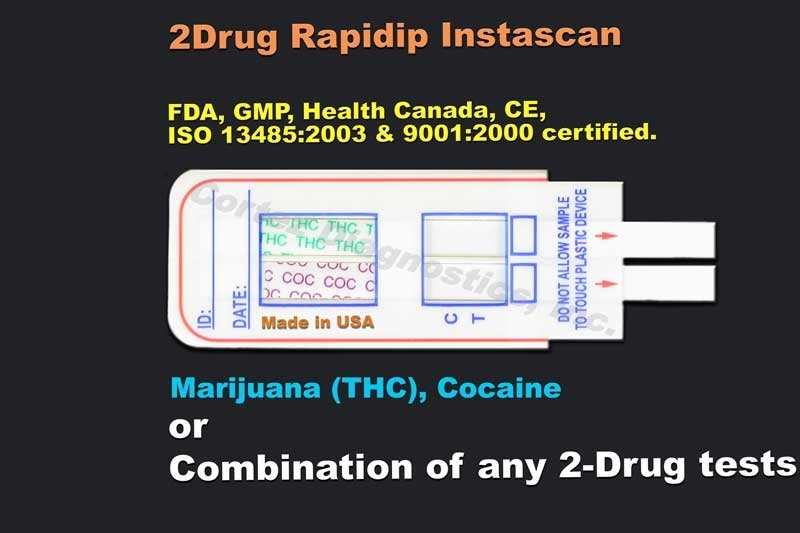 The distinct color on reactive pad could be observed in less than 20 seconds after the tip was contacted with saliva samples with the ethyl alcohol concentration greater than 0.04%. It should be pointed out that other alcohols such as methyl, propyl and allyl alcohol would develop the similar color on the reactive pad. However, these alcohols are not normally present in saliva. See product insert for more details.